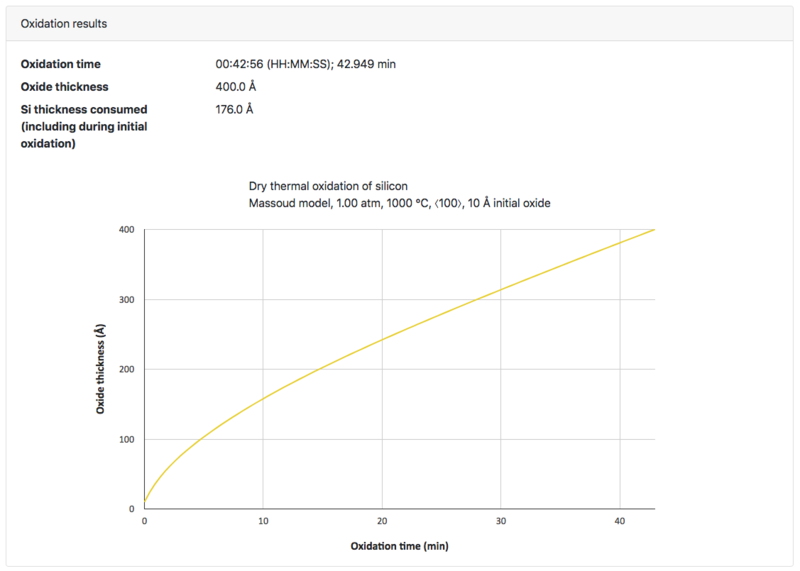 Thermal oxidation of silicon to produce silicon dioxide is one of the most important processes in micro/nanofabrication technology. 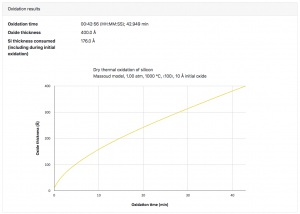 As an aid to all users performing silicon oxidation, we have recently published an online calculator to determine either the final oxide thickness or the required oxidation time, given the other process parameters (e.g., oxidation temperature, ambient gas composition, crystal orientation, and initial oxide). 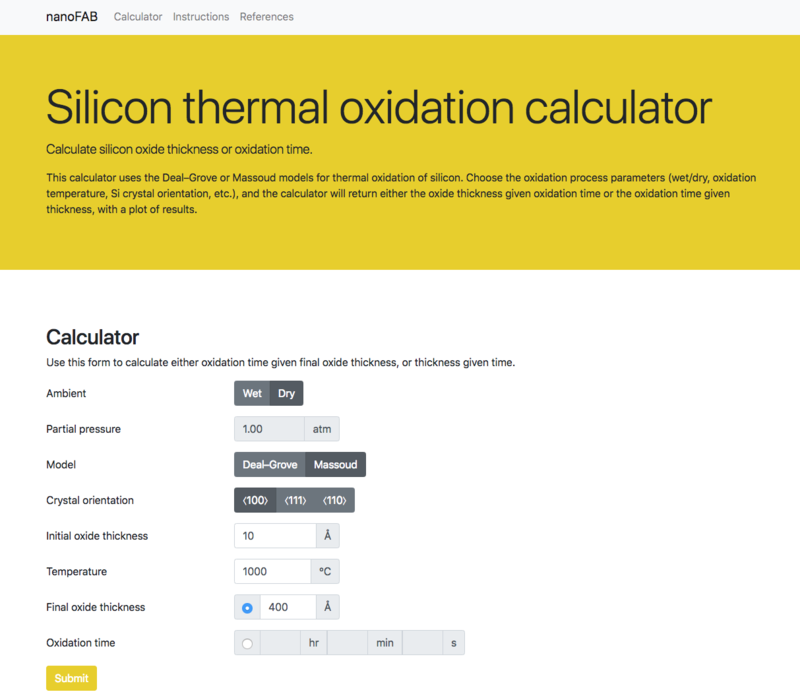 This calculator supports both the Deal–Grove (wet & dry, thick oxides) and Massoud (dry, thin oxides) models, for the three most common Si crystal orientations (⟨100⟩, ⟨111⟩, and ⟨110⟩). 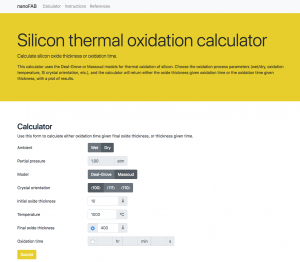 We hope that this calculator will be useful to any users oxidising Si wafers in our Tystar or Minibrute oxidation tools.